Since the beginning, SantosHuman has provided companies with realistic digital human modeling software to help them get their designs right the first time. Our success is based on our clients’ success, which means reducing time and budgets spent on compromises and expensive do-overs. By integrating an optimization-based approach to predicting physical human behavior and performance, our clients remove the trial and error that is otherwise required for human-centric design. The predictive nature of Santos technologies provides our digital humans with a degree of autonomy unlike any other software in the world. This autonomy, combined within a high-quality virtual simulation environment not only makes our virtual human-in-the-loop solutions easier to use, but easier to use correctly. Learn more about the Santos software, support, and solutions that can prevent product failure in the market during the earliest stages of design. Santos Pro provides an extensive digital human modeling environment designed to help users simulate and predict all aspects of human physical behavior and performance. Instead of using real humans to evaluate expensive physical prototypes, Santos® Pro provides the capabilities to reduce costs earlier in the design phase. No more trial and error! Instead, simulate human activities in response to the manufacture, use, and maintenance of products and processes. Our tool is applicable to the design and evaluation of products and processes in every industry. Designed specifically for small companies and independent contractors who provide professional ergonomic and kinesiology services, Santos Lite combines a powerful set of basic predictive human simulation models with the most accurate and extensively validated method of predicting exposure to risk of injury available today, all in a budget-friendly package. 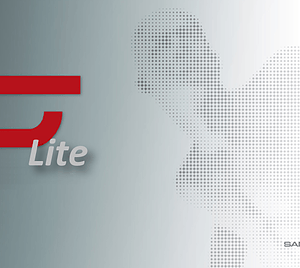 For a limited time, a 1-year subscription to Santos Lite can be obtained for $960 and comes bundled with the AFF Plug-In. Currently available in Santos Pro and bundled with Santos Lite, the Arm Force Field (AFF) Plug-In provides access to the most extensively validated method of predicting exposure to risk of injury for any activity involving manual arm strength. The AFF Plug-in is a unique tool that responds to deficiencies and inaccuracies in other software. Based on extensive human-factors R&D concerning grasping and lifting, this new capability provides the most accurate validated hand model available. Santos Enhanced Technologies for Optimization of Warfighter Load (ETOWL) was designed specifically for dismounted warfighter equipment configuration management. Using a highly specialized subset of Santos predictive technology, this tool provides substantial biomedical feedback, including angle position, velocity, acceleration, and torque for each joint, as well as reaction forces. ETOWL enables equipment procurement managers to conduct warfighter trade-off analysis of any new equipment design and/or loading configurations. The Basic Predictive Model for Physical Behavior (BPMPB) Software Development Kit (SDK) provides a key Santos predictive model that can be included within any application involving the use of digital human characters. The Santos BPMPB SDK provides your developers with the ability to predict realistic biomechanics and task performance as well as assess ergonomics, human factors, kinesiology and human systems integration. Receive the expert support you need to succeed in using Santos technologies to design quality products people will love to use. In addition to software support, we offer customized training opportunities, including introductory on-site courses and hands-on workshops conducted by our Santos Institute experts. To equip your team with the proper skills and support, contact us for details. We are the world’s foremost experts in the development and deployment of Santos technologies. Let our team of experts help you solve your biggest human-centric design challenges. We’ll not only remove the guesswork, we can show you how to integrate our approach at the earliest stages of your existing design processes. Let us know your timeframe and the problem you need to solve, and contact us for a quote on your project. Purchase Santos® Lite at the link below, and contact us to purchase other Santos products.